The first guide that clearly explains the impact that Musical Instrument Digital Interface (MIDI) has made on the creation of music. Profusely illustrated with easy-to-understand diagrams and examples that take the mystery out of MIDI. CHOOSE YOUR MIDIS: With the choose-your-own MIDI 6-pack, you can download whatever MIDI files you want from our website. While many musicians feel comfortable mastering one particular genre, we believe it's necessary to offer artists access to hundreds of different styles, sounds, kits, and grooves to help with experimentation and creation. ENORMOUS CATALOGUE: This bundle comes with six individual drum MIDI packs that you can pick from the Toontrack catalogue, all of which can be similar or miles apart musically. They all allow you, the artist, access to the most defining and fundamental styles of drums in classic songwriting. Find anything from the subtle and focused Americana style, to the touch and feel of the blues, to the inimitable nuance and timing characteristic of a legendary jazz player. HIGH QUALITY AUDIO: Sampled by some of the most acclaimed producers, engineers, and artists in the music industry with legendary and custom drum sets, all of our MIDI packs include the highest quality grooves and sounds on the market. SAMPLE MIDI PACKS: To assure you choose the MIDI files that are right for you, each MIDI pack on our website includes clips allowing you to sample grooves that represent the complete content of each pack. SPECIFICATIONS: Includes 6 downloads keys for any Toontrack MIDI files. Please note: a working EZdrummer 1.4 or Superior Drummer 2.0 installation is required. For system requirements, please visit our website. 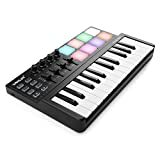 SIMPLE MIDI MAPPING: MIDI beat maker board includes 12 drum pads, 2 Assignable Buttons, 6 DJ Transport Buttons, 1 X/Y fader slider and can be MIDI mapped to control CC or program change messages to any parameter or function to record in your favorite DAW. UNIVERSAL COMPATIBILITY: A single cable connects the mini controller kit to the USB port of any Mac or PC laptop computer or desktop PC. No extra power adapter necessary! Compatible with all professional digital audio workstation software like Logic, Ableton Live, Pro tools or GarageBand. 12 VELOCITY SENSITIVE DRUM PADS: Portable production hardware features 12 velocity sensitive pads are pressure sensitive to bring big or small volume dynamics to your music. Assign them to a single or multiple electronic instruments and control each different sound independently. 4 PRESET BANKS: Change the preset bank directly from the compact controller surface and switch to entirely different mapping scheme. This will allow you to quickly change instruments during live performance. Great desk equipment accessories for any recording studio musical station! 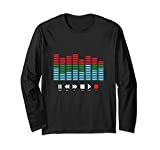 INCLUDES MIDI EDITOR SOFTWARE: Download and install the programmable software to your Windows or Mac and make advanced edits to the global MIDI channel, switch between toggle and switch mode, or change CC value for both on and off. 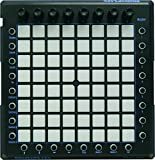 Pyle’s PMIDIPD20 is a MIDI controller which means it makes no sound on it’s own - but once connected to a DAW - the world is your playground! Assign the keyboard to control any virtual instrument within any digital audio workstation! is a great addition to any musician’s home studio! Just plug in via USB and get full control over any parameter or your favorite DAW. 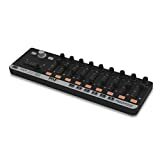 SIMPLE MIDI MAPPING: 9 knobs, 9 sliders, 11 assignable buttons and 6 DJ Transport Buttons, 1 X/Y fader slider and can be MIDI mapped to control CC or program change messages to any parameter or function to record in your favorite DAW. UNIVERSAL COMPATIBILITY: A single cable connects the mini controller kit to the USB port of any Mac or PC laptop computer or desktop PC. No extra power adapter necessary! Works with all professional Digital Audio Workstation software like Logic, Ableton Live, Pro tools or GarageBand. PERFECT FOR ELECTRONIC MUSICIANS: Compact board surface features LED light transport control allowing you to quickly play, rewind, fast forward, loop, stop and record all without hunting for settings in your DAW. Master your music by ear - adjust volume and mix virtual sound parameters more fluidly from the 9 sliders and rotary knobs. 4 PRESET BANKS: Change the portable production hardware preset bank directly from the controller and switch to entirely different mapping scheme. Mixing system package allows you to quickly change instruments during live performance. Great desk equipment accessories for any recording studio musical station! Pyle’s PMIDIPD30 is a great addition to any musician’s home studio! Universal compatibility - will work with ALL Digital Audio Work Stations that allow MIDI mapping. Free Mad and PC software available on our website allows advanced edits to preset banks and controls of all the MIDI funcitons. The PMIDIPD30 has nine MIDI control groups. -Knob: These knobs transmit control change messages. 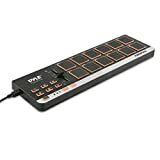 Smart PAD can also be used in "generic mode" as a controller with other virtual DJ applications that use MIDI protocol. ATTACHMENT:  Owner's Manual, One standard USB Cable. OK, it was a tall order. We admit it. People loved the original MPDs so much that we didn't want to mess with success. But we did. The MPD2 Series is a product of over six years of detailed customer research and user feedback. We asked what you wanted and we listened closely. We took what you told us and turned it into the most capable and user-friendly line of pad controllers Akai Professional has developed to date.